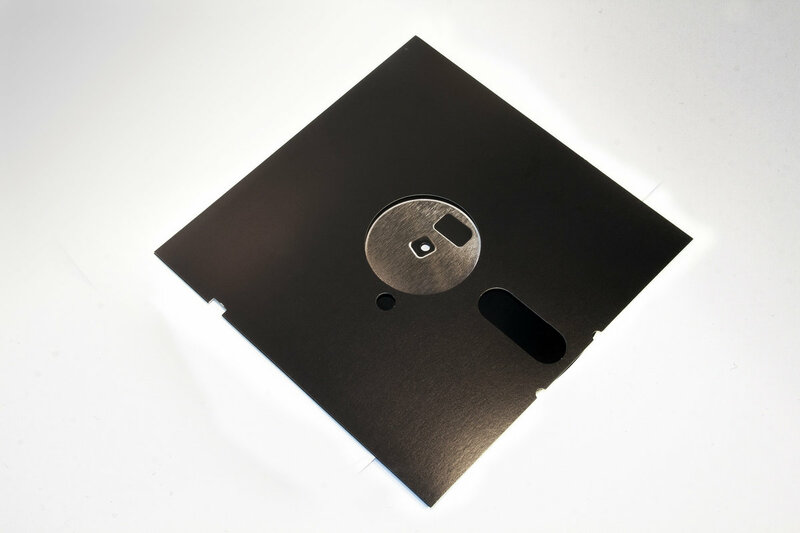 80864 is my first 12″ solo vinyl, and is now open for pre-orders. This release presents the new partnership between C-64 and TR-808 that I’ve worked with for the past two years. As usual, there’s a bit of computer funk pop rock dub stuff all over the place, but it also delves deeper into a more solid techno/acid/electro field. Which I’m quite happy with. 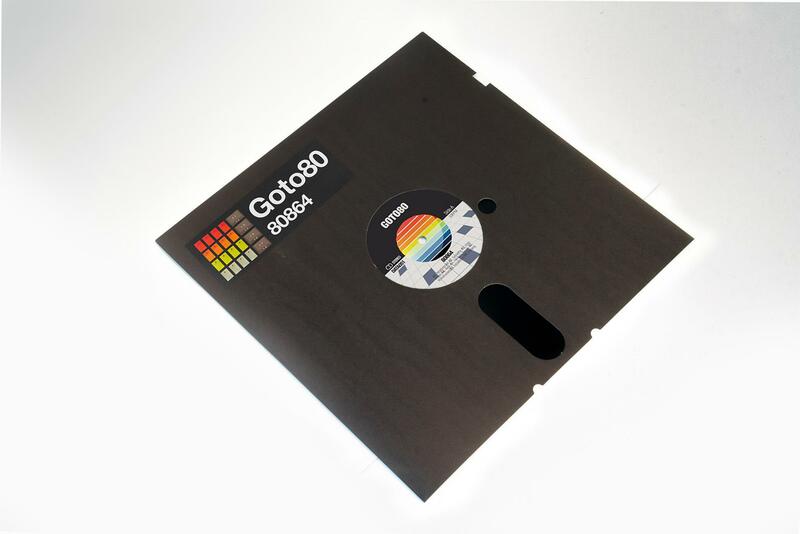 The cover is shaped like a 5.25″ floppy disk, thanks to the magic of Data Airlines, with design by Dubmood. Apparently 40% of the vinyls are already pre-ordered, so you better hurry up and get one. Be part of history! Join the movement! If you buy the vinyl you also get 7 bonus tracks as downloads, which means a total of 1 hour of music. In October, when 80864 hits the streets. 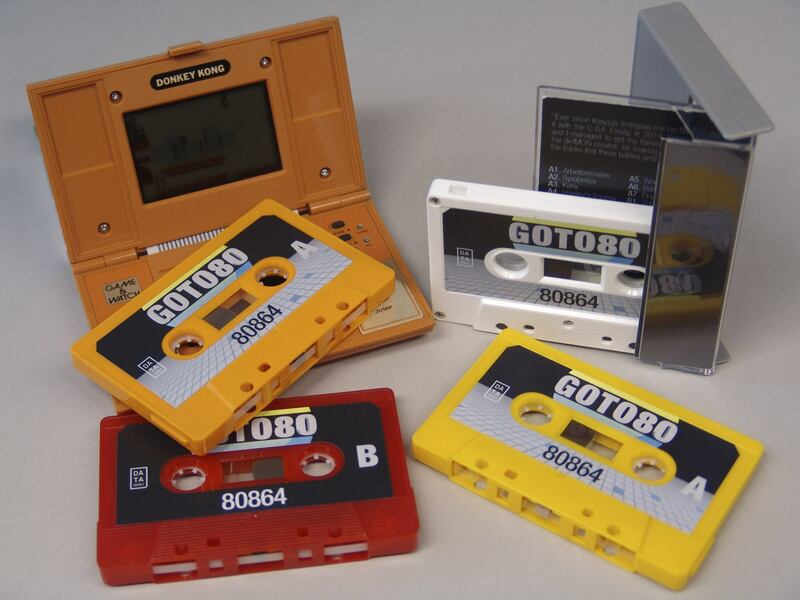 There are also 80 cassettes available in one of the four colours of the TR-808. I’d like to thank my man Mats for making defMON, the C-64 software that I’m pretty much alone in the world to use. 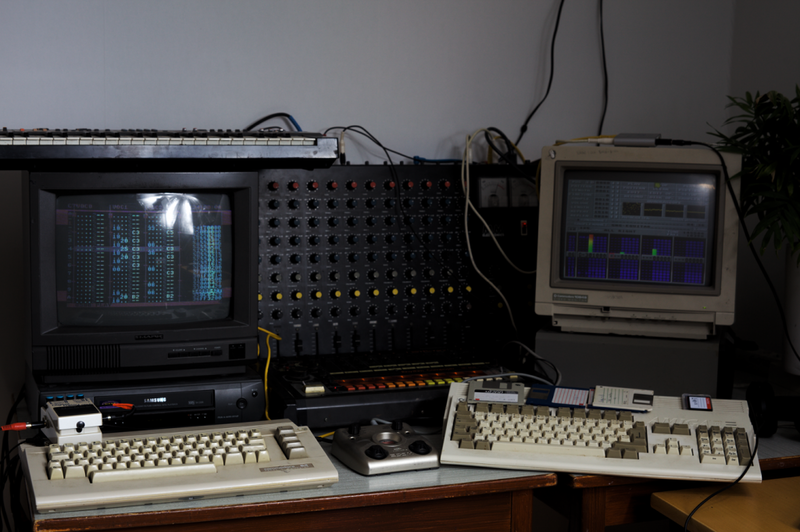 Also thanks to Scannerboy who built a few boxes that meant that I could synchronize the C-64 and the TR-808, which has been a dream ever since Kissdub gave/lent me his TR-808 many years ago. Btw, it’s pretty crazy how well the 808 and the 64 fit together. I wonder what the 1980’s would have been like if there was defMON and Scannerboy back then. Maybe Afrika Bambaataa would’ve become a scener and Egyptian Lover would be the best BASIC coder on the block. Oh look mom, a professional recording studio setup!